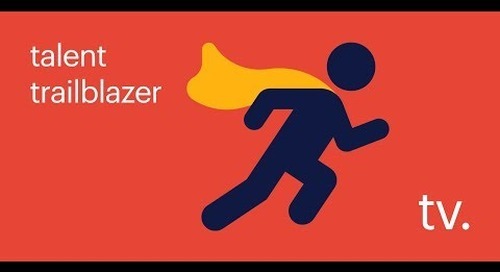 RPO case study: innovative recruitment strategies and diversity hiring model. Home » technology » RPO case study: manufacturing leader enhances diversity hiring model. With disparate procedures, multiple divisions across North America and a relatively small HR staff, a global manufacturing company recognized the need for professional expertise to standardize and centralize its recruiting processes. 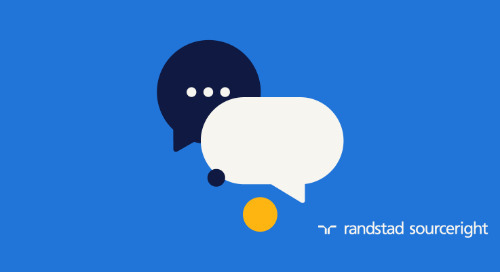 This industry leader partnered with Randstad Sourceright to implement a recruitment process outsourcing (RPO) model that continues to deliver innovative recruitment strategies and outstanding talent acquisition results. As a result, the client is enhancing compliance, improving diversity recruitment results and engaging with the right candidates. 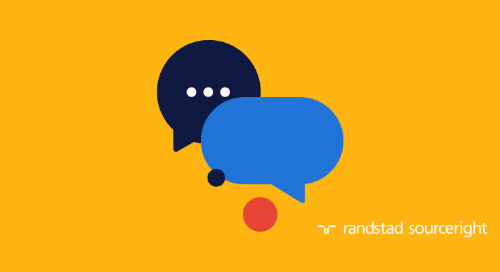 Randstad Sourceright’s RPO team helped the client move from decentralized and inconsistent hiring processes to a standardized and positive experience for candidates and hiring managers. The manufacturing company views the RPO team as its trusted partner and consultant in recruiting excellence. Candidates and hiring managers consistently give the program high ratings, averaging 4.1 out of 5. 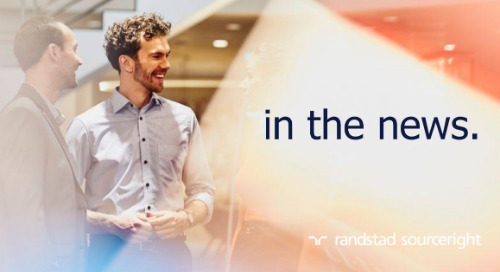 With an average decrease of more than 10 days year over year, time to fill for all positions within the company has steadily dropped from 90 to 54 days during the company’s partnership with Randstad Sourceright. 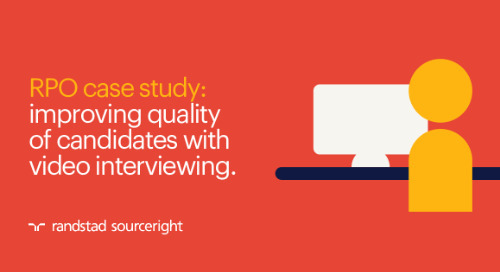 With support from one of Randstad Sourceright’s specialized recruitment centers, recruiters are sourcing and identifying high-quality candidates for the right positions at the right time. Founded nearly a century ago, this global manufacturing leader prides itself on its innovation in lifting and materials handling solutions for a variety of industries, including infrastructure, mining, construction, shipping, transportation and quarrying. Recruiting for manufacturing and design engineers, operations directors, production managers, senior accountants, sales managers and crane service technicians, the manufacturer faced challenges in finding the right recruitment and sourcing strategies to engage the highly specialized talent it needed. Previously, this industry leader managed disparate talent acquisition procedures across multiple divisions in North America. The company’s talent leaders were seeking a way to centralize and standardize talent acquisition to improve visibility and better align with business goals. They also hoped to improve the candidate and hiring manager experiences. This was especially important as hiring managers were not confident they were getting the right candidates in a competitive talent market. As a government contractor, staying within budget and maintaining compliance with onboarding regulations were also critical considerations. 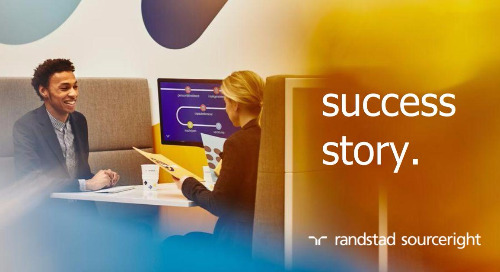 As a result, in 2012 this materials handling leader turned to Randstad Sourceright to develop an innovative and comprehensive talent acquisition model. 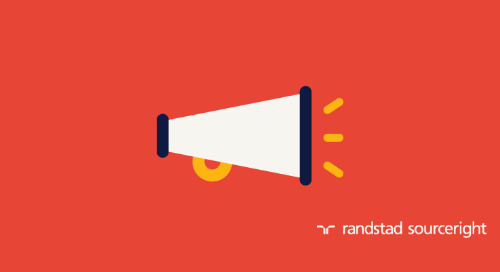 Delivered through RPO, the company’s new talent model also includes support from a Randstad recruitment center in Hyderabad, India. 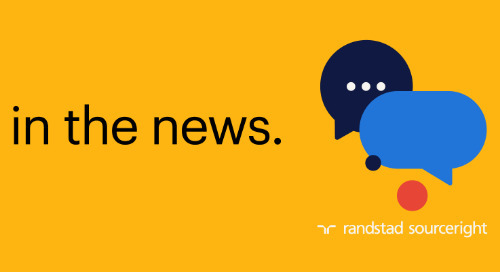 To fill an average of 500 positions annually, Randstad Sourceright customized and implemented an end-to-end RPO solution for the global manufacturing company that delivered a phased approach to roll out. The dynamic program includes a heavy emphasis on strategic sourcing and managing pre-employment processes, onboarding compliance, talent analytics and HR technology to streamline and automate tasks. 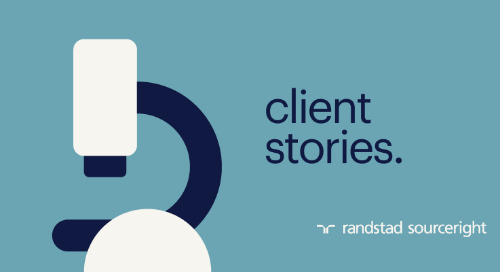 As part of the phased roll out, and to help with change management across the organization, Randstad Sourceright led individual information sessions with each division. This ensures alignment and helps define the recruitment and sourcing strategies needed to achieve company goals. As a result, business leaders and hiring managers see the Randstad Sourceright team as partners in recruiting and true talent advisors. With the flexibility to adjust to changing business needs, the RPO solution has standardized processes across North America. As a result, they company has cut cost per hire in half, while enhancing the talent experience. 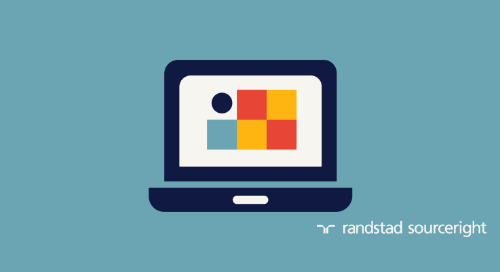 The use of Randstad Sourceright’s specialized recruitment centers reduces administrative burdens on the recruiting team, who can now focus on value-add interactions with candidates and hiring managers. Leveraging a shared services model, expert sourcers in Hyderabad create a shortlist of right-fit individuals for each position. This improves the quality of candidates submitted to hiring managers and has drastically reduced average time to fill from 90 to just 54 days. With an eye on local regulations, the recruitment center also manages onboarding processes to help the employer achieve its compliance goals. Replicating initial RPO program success, in 2015, the partnership expanded to support talent acquisition in the U.K. and Northern Ireland. 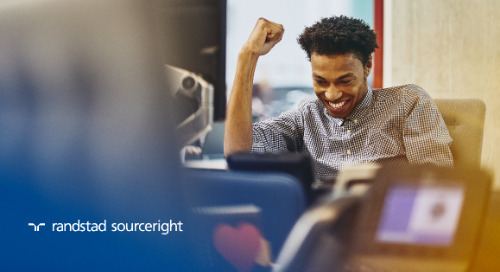 In North America, Randstad Sourceright continues to deliver innovative recruiting strategies, providing HR technology expertise and diversity hiring support. Innovative technologies allow the employer to automate tasks while delivering a personalized and memorable experience for candidates. These include Montage video interviewing, ZenDesk for interview request tracking and gr8 People for candidate relationship management (CRM). 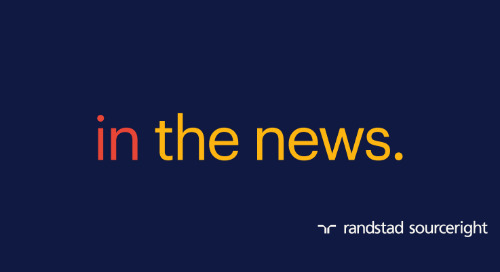 Providing support for diversity and veteran fellowship programs, Randstad Sourceright also connects the manufacturing leader with the veteran community and develops strategies for attracting female engineers to the organization. 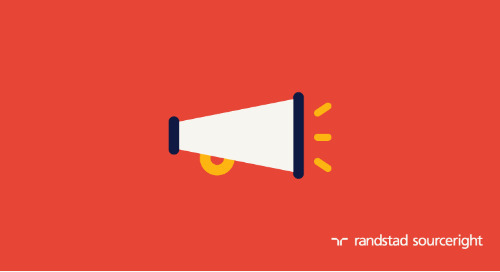 Looking ahead, Randstad Sourceright and the manufacturing leader are establishing a university recruiting program. It will focus on early talent development and to build a robust candidate pipeline for the future. want to learn more about recruitment process outsourcing? 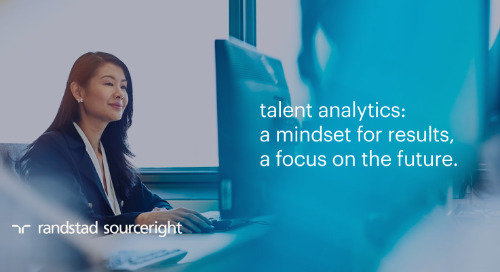 Whether you're just getting started or want to optimize an existing talent model, check out our RPO Playbook for tips, innovative recruiting strategies, case studies and more.